Price from 6.399 ISK PER PERSON. The Gullfoss and Geysir bus tour takes you on a day trip to see the world-famous Geysir geothermal area and Gullfoss, the queen of Icelandic waterfalls, as well as Thingvellir National Park. The Golden Circle Direct is a budget friendly option for those wanting to experience the best of Iceland. The Golden Circle Direct Tour has various departure times and you will explore the Golden Circle on the tour. The Geysir geothermal area boasts spouting springs, including Strokkur, the most active geyser in Iceland. At Gullfoss you are given the opportunity to stand next to the amazing waterfall, watching enormous quantities of water tumble violently into a deep, meandering gorge. Attention! Please take into account that this is an express version of The Golden Circle, which gives less time at each location. 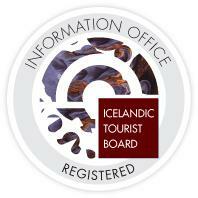 What’s included in the Golden Circle Direct Tour?